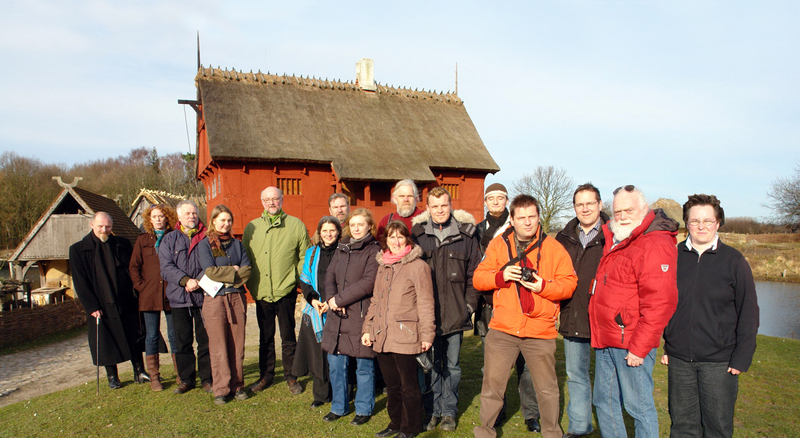 From 8th to 10th February, 2008, representatives of the archaeological open-air museums in Europe met in the Danish Middelaldercentret, south of Copenhagen for their 13th meeting since 2001. The agenda involved, besides of the introduction of open-air museums that recently joint the association, the discussion of quality standards for this category of museums and the presentation of certification processes already effected in Germany. The association intends to associate the open-air museums with archaeological profile as a Board in the World Museum Association ICOM as, up to now, neither the European network of rural open-air museums nor the national museum associations could establish an unlimited acceptance within the existing organisations. After discussions with members of the executive board of ICOM and the World President Alessandra Cummins there are now possibilities, especially in the field of the presentation of the “intangible cultural heritage resources” to create a binding status for the tasks of archaeological open-air museums along a corresponding certification. The UNESCO convention of Paris of the year 2003 grants a special priority to the protection of immaterial cultural heritage, its documentation and mediation within “education and culture”.